Though A Most Violent Year didn't play at the 2014 Sundance Film Festival, the next film from Margin Call and All is Lost director J.C. Chandor landed distribution in the United States during the indie movie marathon with A24 picking up the New York City thriller set in 1981. 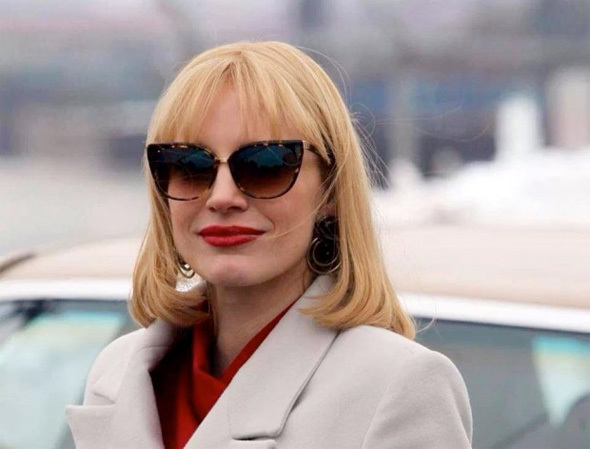 Jessica Chastain (Zero Dark Thirty, Mama) leads the film set during one of the most violent year's in The Big Apple's history, as the story follows an immigrant family trying to expand their business and capitalize on opportunities amid violence, decay and corruption. Now we have a first look photo featuring Chastain looking rather glamorous. Look! A Most Violent Year is written and directed by J.C. Chandor (Margin Call, All is Lost). The thriller is set in New York City during the winter of 1981, statistically one of the most violent years in the city’s history. The film follows the lives of an immigrant and his family trying to expand their business and capitalize on opportunities as the rampant violence, decay, and corruption of the day drag them in and threaten to destroy all they have built. Jessica Chastain, Oscar Isaac, David Oyelowo, Albert Brooks and more also star in the film which A24 is expected to release sometime in 2014. See the film's Facebook page for even more. Finally! It has been too long Ms. Chastain.